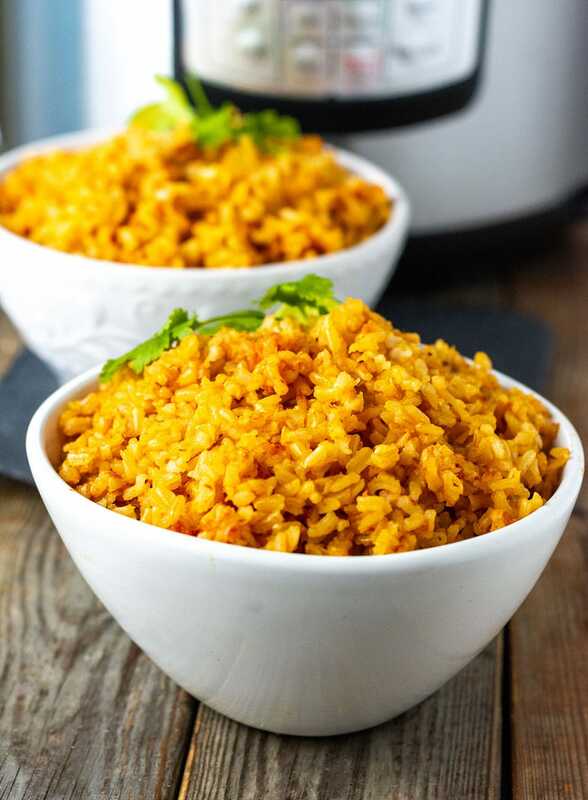 This Instant Pot Mexican Rice recipe is so easy to prepare and it tastes amazing with simple and healthy ingredients, cooking doesn't get easier! I'm using my Instant Pot almost on a daily basis, apart from my blender this is now the most frequently used kitchen gadget. If you are busy, which most moms are then having an Instant Pot is a great idea. You can set the Instant Pot and go attend to something else and it keeps the dish warm for hours. What a time saver! I multitask while cooking and so it is one less project to focus on. I have now shared my Instant Pot Lentil Soup, Instant Pot Jamaican Rice, and Peas, and Instant Pot Split Peas Soup on here and I'm so excited to share with you my latest recipe. 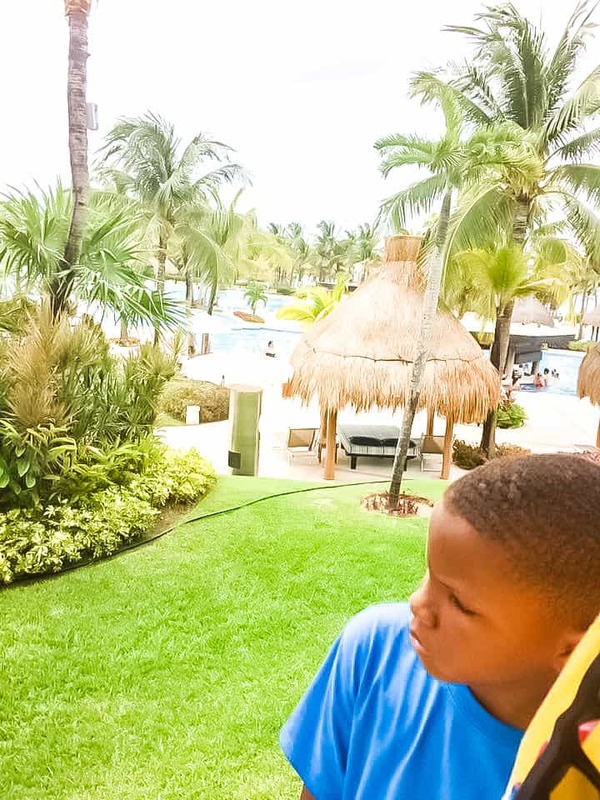 Last May, my family and I were so blessed to travel to Cancun, Mexico and we stayed at the lovely Riviera Maya Resort Hotels and had a wonderful and relaxing time there. We enjoyed the warm and friendly people, seeing the Mayan ruins and the food were so fresh and full of flavor. I can't wait to visit again. I don't like mushy rice, I rarely make risotto or cook with short grain rice for that reason, I love fluffy rice and I believe that it is an art how to make the perfect rice. So if you struggle with making rice that is fluffy and not sticky and mushy, then using the instant pot is for you and making my Instant Pot Mexican Rice is the solution. I set the Instant pot on saute and saute the rice and onion, garlic and cumin for 5 minutes stirring, then I added the tomato sauce, vegetable broth, and salt, set the Instant Pot on manual for 22 minutes. After it is finished cooking, I then let it sit for 5 minutes to Natural release its pressure then I move the knob to 'venting' and quick release putting a dishcloth over the top of the vent. I used Jasmine Brown rice from Trader Joe's to make this recipe, but Basmati Brown Rice or any long grain brown rice will do, this dish is simple and flavorful. It is not overpowering tastenbecause the main dish will be the focus. 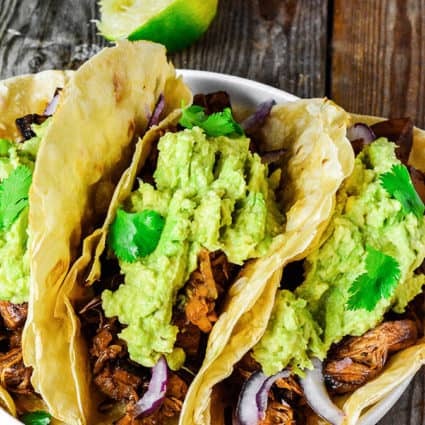 It is delicious served with my Jackfruit carnitas and Guacamole. Plug Instant Pot in power and press Saute to heat. Add oil, once it is heated, add onion, garlic, cumin and cook for 2 minutes stirring. Stir in the rice and saute for about 4 minutes. Add tomato sauce and stir to coat. Add vegetable broth and salt Switch Instant Pot to the Keep Warm/Cancel button. Cover Instant Pot with the lid, make sure knob is set on the Sealing position. Now press the Manual button and the display will now say ON. Click the + plus button until it is 22 minutes on High Pressure. You can walk away and let the Instant Pot do its work. You will hear whistling but do not panic, it's quite normal. At the end of the 22 minutes let the Instant Pot Natural Release pressure for 5 minutes. Then you will turn the knob to Vent and allow it to Quick Release the remaining pressure. I usually put a damp dishcloth over the vent carefully as the final steam releases. Once the steam releases you can now open the Instant Pot and flurry your rice. 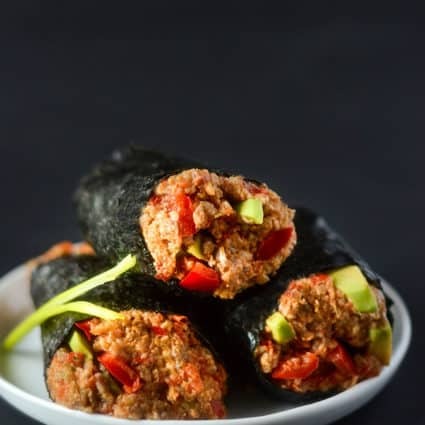 How would I make this if I don’t have an Instant Pot? I actually made it yesterday without one but I didn’t use measurements so let me work on it and get back with you. 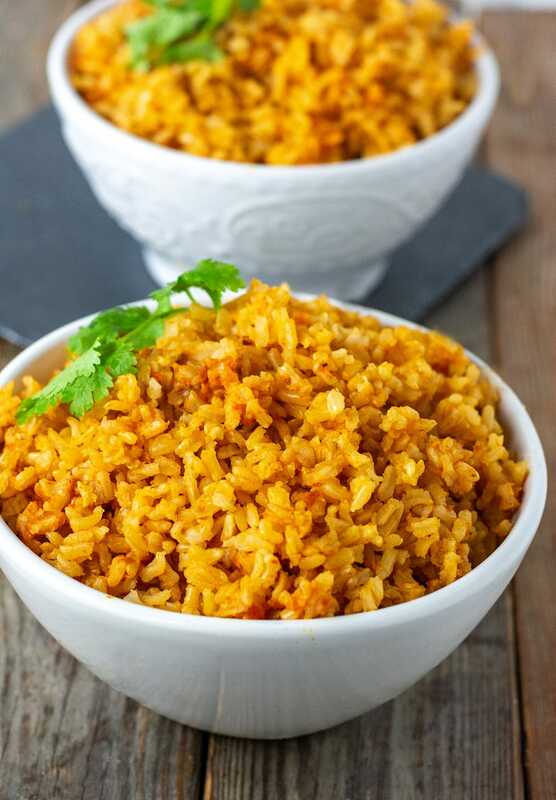 Many years ago in college, a friend with a Mexican husband invited me to eat dinner at her house and served a Mexican rice that was so good. When l asked her for a recipe she said she didn’t have one and explained how to make it. I remember going home and trying to make it many times. While the rice came out good all the time, it didn’t taste like hers, it had a Puerto Rican taste to it, LOL! I remember her saying it had lots of onions and tomato sauce. I wanted the authentic Mexican taste to it. I just wanted to let you know this taste just like hers! YAY! I made it twice in 2 weeks. The first time l made mostly as is but added diced green bell peppers and a whole diced medium onion. The rice was a little chewy so I left on warm for a while and after like an hour it was better. The 2nd time I soaked my rice as l usually do and doubled the recipe. It was perfect! My only regret was that l was making it for lunch the next day and it was too late to sit down and eat a plate, l eat light suppers ? Thanks so much, will be a regular! Zory, I enjoyed reading your comment and I’m happy that you found this recipe similar to your friends. Such an honor thank you very much. My husband and I love this recipe. 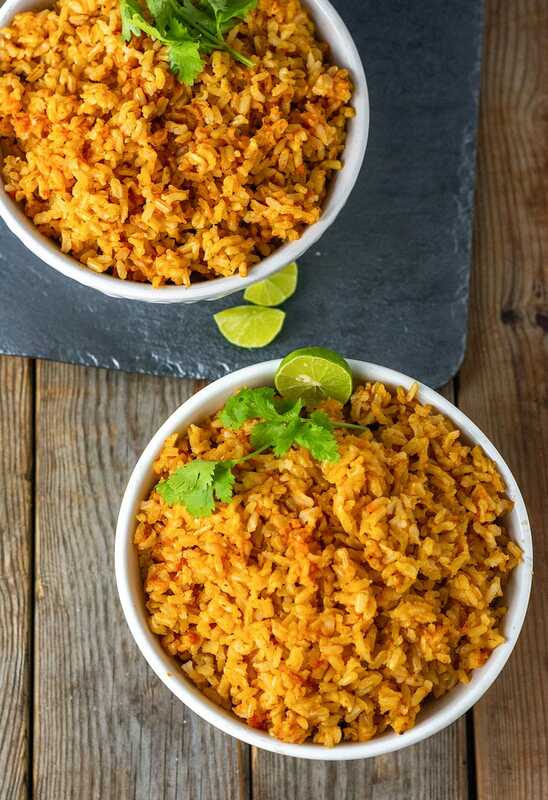 It’s out go-to recipe for Mexican rice. Thanks for sharing! Thank you Kim, I’m so happy that you and your husband love it. Thank you for your feedback. Question: I am making this for a LARGE crowd- 30 people. Is it ok to just multiple ingredients and still cook in one pot? You can add all the ingredients in a 10-quart stock pot, you will need 7 1/2 uncooked cups of rice to yield 1/2 cup cook rice per person. So you are quadrupling the ingredients. The manual says with expanding foods like rice or oatmeal, never fill it more than halfway. It depends on the size of your Instant Pot, remember to take into consideration that rice swells, safety is the key. This is the first recipe I made in my Instant Pot and it’s delicious! Thank you so much. Better than our local taqueria, and healthier since it’s made with brown rice. Drizzled a little tomatillo salsa on top, perfect. Eva, thank you very much for your feedback. So happy you enjoyed it and I’m happy that you can now make your own. I am happy you love it, thank you for your feedback! Olive oil and veggie broth are both listed in ingredients, yet the instruction section does not indicate when to add those in. I would assume oil first thing, then broth with the tomato sauce… but it isn’t clear. And if someone makes this without broth, I think that would cause problems. Yikes Sheri, thank you I just corrected it. Nicole love you too and we are missing you, we are now living in Florida. Devon is one of the directors of SEC conference. Visit us whenever you come to Florida. Hi Philly, hope you love the turmeric coconut rice, it’s very popular. You would add about 1 1/2 cups more vegetable broth, make sure liquid is around an inch above rice.Bring to boil after you did the sauteing and add broth/tomato sauce and all ingredients. Reduce to the lowest heat you have and let it cook for 45-1 hour depending on stove. Test with a fork for doneness. Regularly when I cook rice I don’t measure, I eyeball ingredients so I would have to make it sometime in the future on the stove top to give you the exact measurements. I bought my instant pot of 8 liter in September and scared to use it. Please help me. I am a good cook and would like to make rice pilau in it. Sofia, I hope you take the plunge and use your Instant Pot, it is amazing! I haven’t made pelau in years but sounds like I need to make it soon. I’m going to try and get in touch with a friend in New Jersey who use to serve pelau every time I visited her. For now, the closest recipe I have that’s remotely similar is my turmeric coconut rice. You could follow the instructions for it and just add cooked pigeon peas after you have sauteed the vegetables. Also check online for biryani recipes they are similar as well. All the best until then.